We have our own radio station to compliment our display! While the display is operating, viewers can hear a program of music that is synchronized to our lights by tuning their car radio to FM 103.3. You can learn more about the music we play, and also purchase most titles, by clicking the links in our play list below. 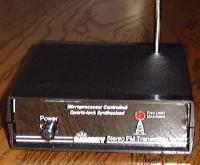 It is our intent to operate this non-licensed transmitter in compliance with the FCC Rules part 15. 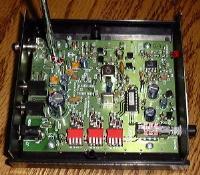 We chose our frequency based on FCC listings of licensed broadcasters in a 100km radius from our home, and by actual tests with several sensitive FM receivers. If you believe you are experiencing interference due to our transmitter or have other comments, please send an email to webmaster@fischersplace.com and we will immediately work with you to alleviate the problem. All interference complaints will be taken very seriously as we do not intend to violate the rights of any licensed broadcaster or their listeners.